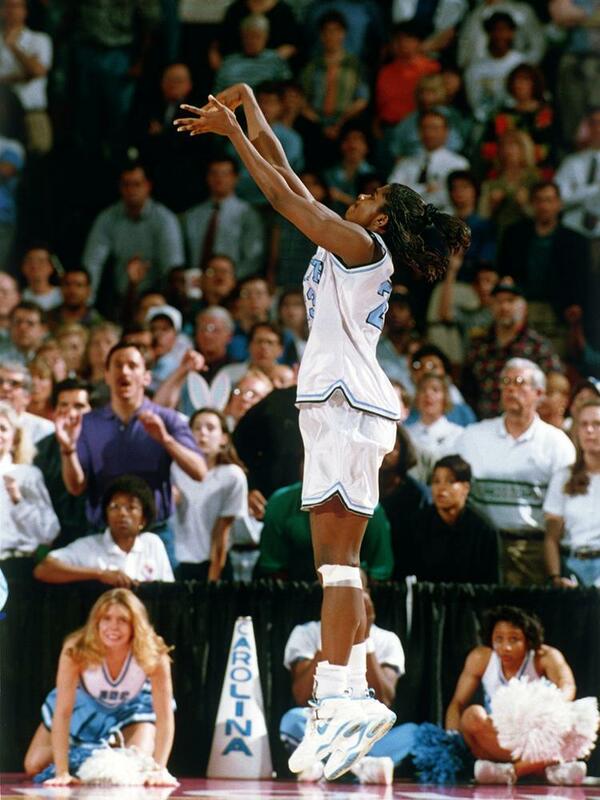 On December 4, 1994, Charlotte Smith, then a member of the UNC Tar Heels women’s basketball team, became the second collegiate women’s player ever to dunk. The first dunk had come nearly 10 years earlier when West Virginia University player Georgeann Wells accomplished the feat in a game against the University of Charleston. A native of Shelby, Smith had a stellar career with Lady Tar Heels. She was the ACC Rookie of Year in 1992 and ESPN’s National Player of Year in 1995. By the time she left Chapel Hill she had scored nearly 2,100 points, grabbed 1,200 rebounds and became one of only two women’s basketball players at UNC to have her jersey retired. Smith entered the 1996 pro women’s basketball draft and was picked by the Colorado Xplosion in the third round. She was traded to the San Jose Lasers shortly thereafter and moved to the Charlotte Sting in 1999 and the Washington Mystics in 2005. She was briefly on the Indiana Fever in 2006 before retiring from pro ball. Smith’s time coaching women’s basketball overlapped with her time playing professionally. She is now the head women’s basketball coach at Elon University.